Doris Kareva is one of the most beloved Estonian poets, nominated several times for the Nobel Prize for Literature. She is a master of word and melody with a piercing clarity of thought, purpose, feeling and language. She has translated English poets including Dickinson, Auden, Beckett and Shakespeare into Estonian. Her own poems have been translated into over 20 languages – including Days of Grace(Bloodaxe Books, 2018, translated into English by Miriam McIlfatrick-Ksenofontov) that spans over forty years of her poetic output. 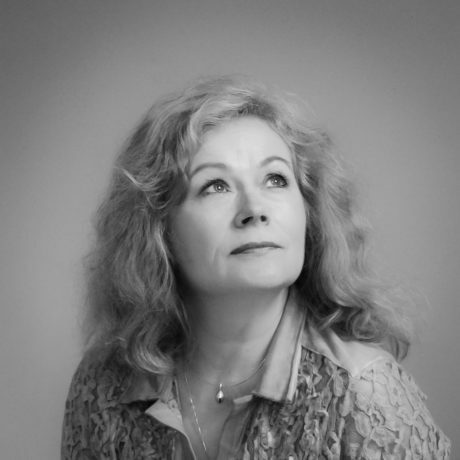 Doris Kareva was born in Tallinn in 1958, and studied English language and literature at the University of Tartu. Apart from working as a literary editor, she served sixteen years as the Secretary-General of the Estonian National Commission for UNESCO. She has published 17 collections of poetry, as well as essays and tales. Kareva’s poetry finds expression not merely on a stylistic level. Her sparing word usage is accompanied by an impressive depth of message. The most striking feature of Kareva’s poetry is its strict adherence to form: her wording is not so much economical as it is minimal. Kareva’s method seems to be to use as few words as possible, yet astonishingly, the message comes across clearly and with multiple layers of meaning. Trademarks of Kareva’s poetry include a refined and select vocabulary, an intertwining of euphonic attraction and silence, a perception of the world as being simultaneously miraculous and tragic, and subtle intonation. Kareva is considered one of the best representatives of metaphysical and linguistically sensitive “pure lyrics” among late-20th-century poets.